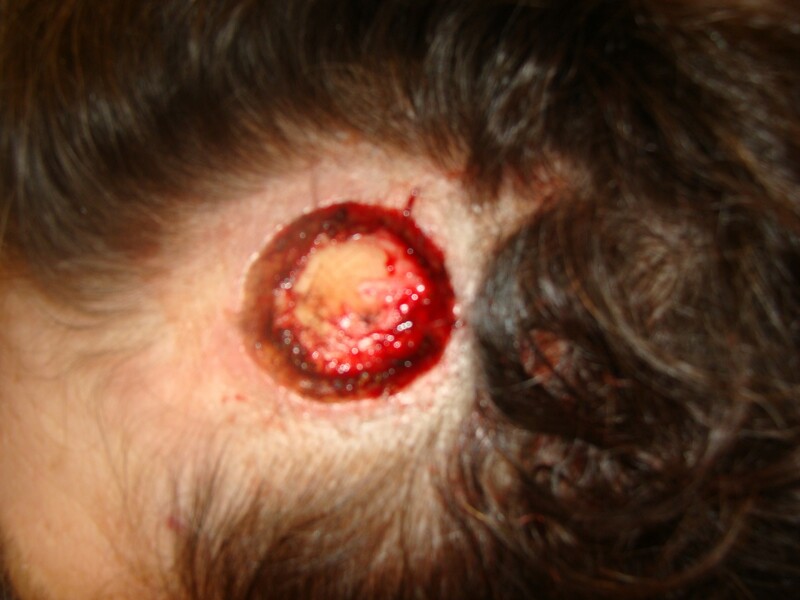 Scalp injuries are usually the result of direct impact but may not be apparent in inflicted head injuries. When present, these may manifest as an abrasion, bruising, laceration, or a burn. Scalp trauma usually occurs after blunt trauma. The majority are easily repaired. Fractures of the skull and injuries to the brain can occur. Further workup depends on the mechanism of injury and the symptoms experienced. If confusion, weakness, loss of consciousness, or vomiting occur with the injury immediate medical attention in an emergency department should be obtained. 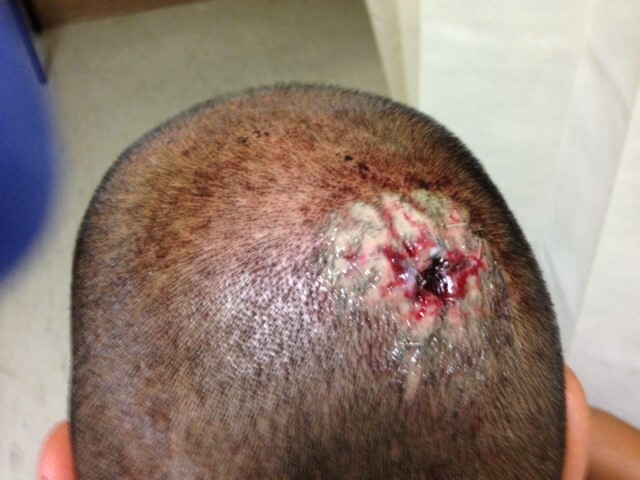 Scalp lacerations should be repaired within 6 hours to prevent infection. 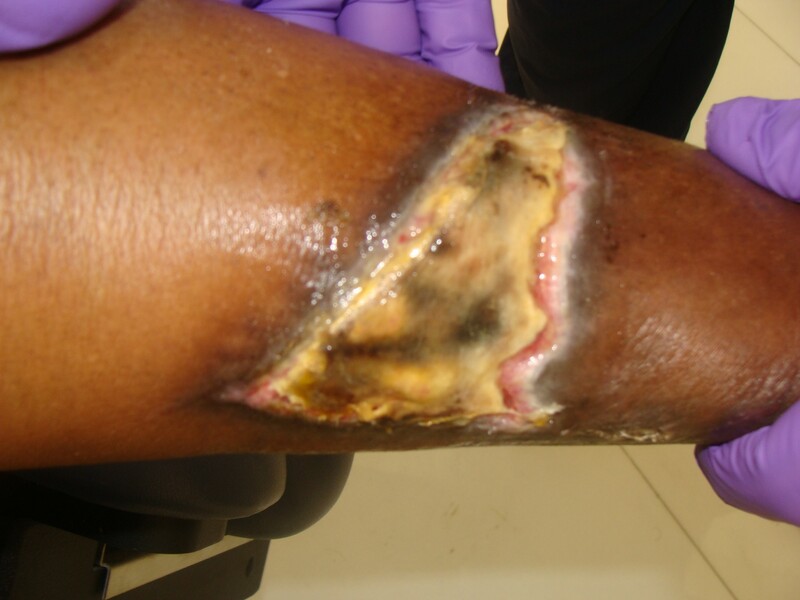 While waiting for treatment the laceration can be cleansed with running water and covered with gauze or a clean cloth. 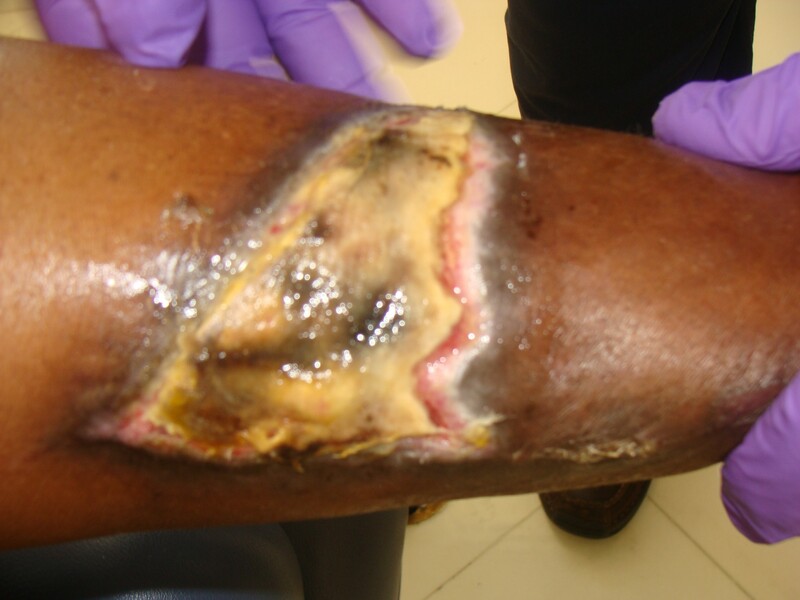 Pressure on the wound can be applied to stop bleeding.